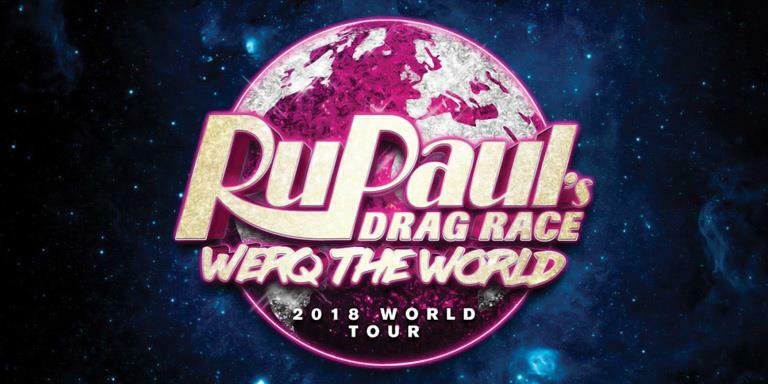 On Sunday the 27th May, RuPaul’s Werq the World Tour will be coming to the Symphony Hall – stopping off in Birmingham for the second date out of seven across the UK and Ireland. The show starts at 9pm, with an exclusive VIP Meet & Greet from 7pm. Tickets are priced from £32 to £128 – as presented by Voss Events, World of Wonder, and VH1. For direct gig information, including venue details and links to online ticket sales, click here. Also appearing at the Symphony Hall on Sunday 27th May will be Ginger Johnson, the ‘nightmare in nylons’ storyteller who will be reading Glamorous Gran and other Stories – ‘a lively collection of original children’s stories inspired by the lives of LGBTQIA+ people and their experience of the world’. A free event, taking place in the Symphony Hall Level 3 Foyer from 3pm, Ginger Johnson’s Glamorous Gran and Other Stories is suitable for ‘switched on kids’ aged 7 years and up. For direct event information, click here. Lady Miss Ikea will also be DJing before and after the RuPaul’s Werq the World Tour show in the Symphony Hall Cafe Bar, playing ‘the most glamorous deep, house, disco and wildest pop – as well as tracks that you love from your favourite RuPaul Queens’. Again a free event, Lady Miss Ikea starts her first set at 7:30pm – for direct event information, click here. Following a string of sold out shows in 2017, the only official tour for the popular reality TV series, Ru Paul’s Drag Race, is making a stop in Birmingham at the tail end of the city’s Pride Festival (how fitting). With a total of 63 shows across the globe, and 36 of those in Europe, Sunday 27th May is Birmingham’s opportunity to see some of drag’s finest queens perform in all their glory on stage. Hosted by fan favorite judge Michelle Visage, the show will feature performances from Kim Chi, Latrice Royale, Sharon Needles, Kennedy Davenport, Detox, Valentina, Violet Chachki and a surprise guest from Drag Race Season 10. RuPaul’s Werq the World Tour is quite possibly one of the most prominent drag shows to ever land in Birmingham, showcasing the TV phenomenon that has helped push drag from underground art to mainstream pop culture. And whilst drag events have become a more prevalent fixture on Birmingham’s event calendar – with national promoters such as Klub Kids and Eat Sleep Drag Repeat selling out shows at both mainstream and LGBT+ venues, alongside ferociously creative new events, showcasing both local and national talent, from collectives such as Dragpunk and Opulence – a show of this size coming to the Symphony Hall is unassailable step further into the limelight. 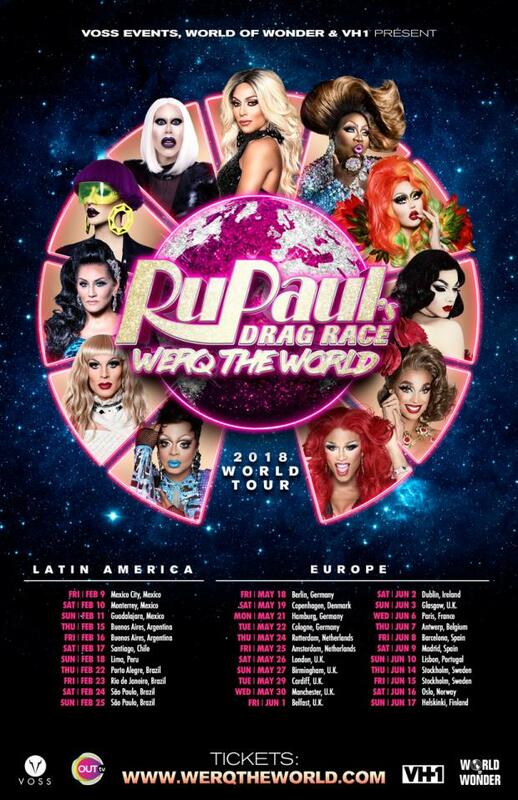 RuPaul’s Werq the World Tour line up is diverse enough to give its audience a taste of all manner of drag too. Take Sharon Needles, for example, whose both ‘simply divine’ and ‘ghastly runway look’ won her the title of America’s Next Drag Superstar in 2012 at the end of Drag Race Season 4. But if macabre isn’t strictly your style, then Kim Chi – who was the first Korean drag queen to appear on American television – offers up her self-described ‘bionic dolly’ aesthetic, celebrating all things ‘cute, fun, weird, and exotic’. Then there’s Violet Chachki, whose drag, burlesque and acrobatic performances ‘blend strip tease, aerial acrobatics and fetish aesthetics – while also distorting the gender binary’. Chachki’s confidence and ‘indomitable, high self-esteem’ saw her win Drag Race Season 7, as well walk for Moschino in their Fall 2018 Collection at Milan Fashion Week and become one of the first drag artists to represent a major fashion brand for Betty Paige Lingerie. Also appearing on RuPaul’s Werq the World Tour will be Latrice Royale – a plus sized queen who from Compton who is also an ordained minister, Detox – another LA queen who has appeared in music videos with Ke$ha and Rihanna, Kennedy Devenport – whose numerous pageant titles include Miss D’Elegance International 2013 and Miss Gay Orlando 2016, and Valentina – whose spectacular looks have appeared in Elle Magazine Mexico, Paper Magazine, and Vogue.com as well as being the face of Mexican fashion designer Benito Santos’ latest collection. From kawaii to couture, RuPaul’s Werq the World Tour presents one of the most impressive drag line ups the city has seen, with each queen having worked their way to drag royalty with grit and determination. Here’s hoping, amongst the undeniable glitz and glamour, we witness some of that fire on stage at the Symphony Hall on 27th May.